At Harcourt Pre-School our primary concern is for the safety of the children in our care. A First Aid kit is taken on Forest School outings and is kept in the ‘emergency backpack’ at base camp. 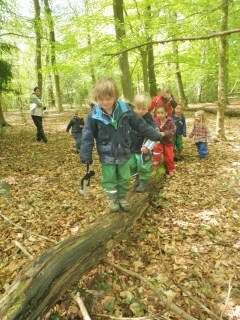 In the event of an accident during Forest School an Accident Form is completed. In emergency situations, one adult will stay with the child, another will telephone for an ambulance and another will look after the remaining children. A member of staff will accompany the child in the ambulance and will stay with the child until the parent arrives. Our site is close to the Forest Warden’s hut from whom we will enlist assistance if required. A map and details of the location of the Forest School is kept in the First Aid Kit to assist emergency services in finding the group.